PP Control & Automation, which supplies electrical control systems, cable harnesses and sub-contract manufacturing solutions to many of the world’s largest machinery builders, turned 50 years-old in September and marked the occasion by securing £2m of new contracts. 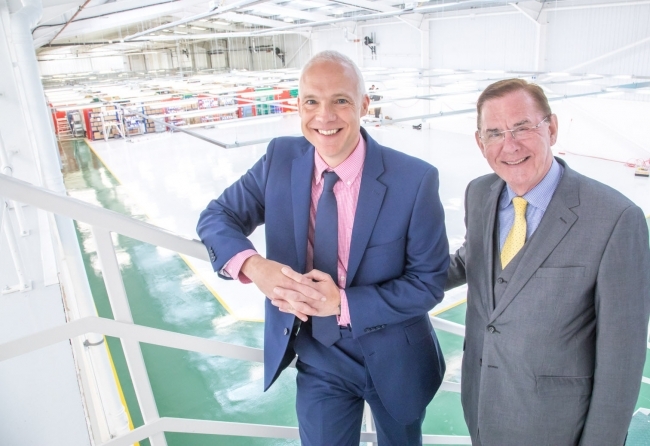 Located in a 55,000 sq ft facility near Cannock, the company enjoyed a major surge in demand for its strategic outsourcing services, with interest coming as far away as Iceland. “2017 has been a major year for us, not just in terms of our ‘big birthday’, but also in terms of laying the foundations for the next five decades,” explained Tony Hague, Managing Director of PP Control & Automation. “This was really the first example of where we started to look at supplying the big OEMs, rather than lots of small local opportunities. It really gathered pace in the mid 90s, when we landed a contract to help Mazak build machine tools…this was the major transformation point for PP and I’m proud to say we still supply the Japanese manufacturer today,” added David Fox. PP Control & Automation, which is a member of the Manufacturing Assembly Network (MAN), has secured a number of awards over the course of the last five decades, with the latest TMMX Customer Service title in November added to a trophy cabinet already featuring Best Overall Factory of the Year from Cranfield University.